Q1:What are the eligibility criteria for the Program? Bachelor's Degree or its equivalent in any discipline from a statutory university with at least 50% aggregate marks or equivalent CGPA. Candidates graduating by 30th July, 2019 can also apply but must prove their eligibility latest by 30th September, 2019. Q2 : Can final year Graduation students apply? Ans : Candidates graduating by 30th July, 2019 can also apply but must prove their eligibility latest by 30th September, 2019. Q3 : Can diploma holders apply for the Program? Q4 : What is the total cost of Application Form? Ans : Rs. 1000 only. Q5 : Is it necessary to have work experience to apply for the Program? Q6 : When does the application process for MBA 2019-21 begin? Ans : To be announced later. Q7 : When is the last date to submit the form? Q8 : Do you have an offline or online application form? The Application Form and Brochure are available online and also offline. The online facility for application is available at http://getadmissions.com/jaypee. You may down load the application from the web site and apply with required documents and application fee. Q9 : How do I pay may application fees? On Cash Payment- Obtain the Application Form from JIIT in person. Obtain the Application Form by post by sending the application fee of Rs. 1000/- through Demand Draft in favour of Jaypee Business School payable at Noida/Delhi. Download hard copy of Application Form (.pdf format) from the web site, make a DD of in favour of Jaypee Business School payable at Noida/Delhi and send it to the address mentioned on website. For Online : Log on to online link provided at the web site and proceed as per instructions given online. Q10 : What are the stages of the admission process? Applicants seeking admission are required to have valid scores in CAT /MAT/XAT/CMAT/GMAT/ATMA. Short-listed applicants only (on the basis of relative merit from received applications) will be called for: Group Discussion (GD) and Personal Interview (PI). Submission of application does not automatically qualify the candidate for GD/PI and no refund of application fee is permissible on any account. The final selection will be as per merit drawn on the language proficiency test and performance in the GD & PI. Photocopy of CAT/MAT/CMAT/XAT/GMAT/ATMA Score Card. Graduation mark sheet (if already qualified). Proof of appearing in the graduation examination before 31st July 2019. One colored photo (pasted) on the application/ printout of the online application. Demand Draft for Rs 1000/- favoring favouring Jaypee Business School payable at Delhi/ Noida (Not applicable for purchased application forms or those applying on line). Q12 : I have not received any confirmation notifying the receipt of my application. What am I supposed to do? When will my application get uploaded on the link? Ans : The status of application is uploaded on the web site .All students can see the same after 5-7 days of submission of application. In case of doubt send an E mail to Help Centre or web admin and you shall get the revert. Q13 : Which scores does the Institute accept? What was the minimum score required last year to be shortlisted for the GD/PI? Ans : Applicants seeking admission are required to have valid scores in CAT/MAT/XAT/CMAT and GMAT. The merit for being called for GD/PI is based on the Inter Se Merit amongst the received applications and vacancies. Therefore it can vary. Q14 : When and where is the GD-PI process conducted? Ans : GD/PI is scheduled on May 11, 2019, Saturday at Jaypee Business School - Campus. Note : Students appeared for Sept 2018 MAT examination onwards are also eligible to apply for this round of GDPI. Q15 : Can I give GD/PI in my state/city? Q16 : How are the “Shortlisted” and “selected” candidates informed? Ans : By post & e mail. All lists are also available on the institute website. Q17 : What will be the Program fees? Ans : The fee for the two year program for batch admitted 2018 is Rs 8 lakhs (4 Lakhs p.a.). Additional Rs. 15,000/- p.a. shall be payable towards the cost of study material and books which shall be supplied by the JBS, including access to Havard Case studies. Hostel charges (Optional) - Those who desire and allotted the hostel shall be required to pay the hostel charges of Rs 1,24,000 lakh per annum. The above fee does not include the cost of laptop and hostel charges, etc. Q18 : Can I fill more than one application and appear more than one time in selection process? Ans : No. only once in a given admission year. Q19 : If I have made any mistake(s) while applying, Can I make changes later to rectify? Ans : Yes, you can. Write to JBS help centre or web admin listing the mistake. Q20 : What are the Rules for refund of fee in case of cancellation of Admission? Ans : In compliance to Instructions of MHRD, the JIIT shall refund the amounts deposited by the candidates who wish to withdraw before the last date of admission process (as specified in the admission offer letter) after deducting a processing fee of Rs. 1000/- (one thousand only). Q21 : Is it a residential Program/ Is the Program mandatory residential? Ans : No. Separate Hostel accommodation for boys and girls is available to the desirous candidates. Q22 : How many students share a room in a Hostel? Q23 : Are the rooms Air-Conditioned? Ans : Yes, JBS campus is fully air conditioned. Q24 : Do I need to indicate my area of specialization while applying for the MBA program? Ans : No, you don't need to. 1st year courses are common/foundation courses. You can decide on specialization at the end of 1st year. Q25 : Does Jaypee Business School offer a dual specialization system and Can we apply for more than one specialization? Ans : We have a concept of major and minor specialization in all areas of management and the students can specialize in a given stream of their choice as a separate specialization. e.g you can major in HR/Marketing/finance/Operations/IT with choosing minor in these specializations or in data analytics/ IT/ International Business/Entrepreneurship. Q26 : How does opting for two specializations benefit me? Ans : It improves your knowledge levels and helps to improve your employability in certain specializations. For e.g: if you are from Marketing and opt for Data Analytics as minor, you can look for specialized job in Marketing Analytics. Q27 : At the commencement of the Program , is there any immersion course (specially for students with science/ B. Tech background) to gain pre-requisite knowledge of the subjects we will be studying? Ans : Yes, there is an induction program which is compulsory and its aim is to familiarize the participants with certain fundamentals required for business studies. Q28 : Is there any Management Program offered by Jaypee Business School in Part Time/Distance Education Mode? Ans : No, currently we do not have such Programs. Q29 : Where does Jaypee Business School stand among Indian Business Schools? 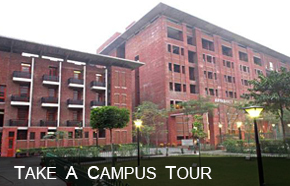 Ans : JBS is a constituent of Jaypee Institute of Information Technology (Deemed to be University U/S 3 of UGC Act ). Started in the year 2007, JBS holds one of the best ratings amongst the new generation business schools in NCR. Q30 : What are the various milestones achieved by the Institute? Ans : JBS is a constituent of Jaypee Institute of Information Technology (Deemed to be University). Started in the year 2007, JBS holds a very good reputation amongst the new generation business schools in India. In a short span, JBS has made an extremely good progress both academically and in its stature as a centre of excellence in management studies. It has been rated amongst the emerging institutions in management studies by numerous studies and surveys in the past. Q31 : Is the Program approved by AICTE? Ans : The institute is a constituent of JIIT (deemed to be university under section 3 of the UGC Act). An AICTE approval is thus not relevant in the context. Q32 : Apart from academics what are the other on-campus activities at Jaypee Business School? Ans : There are many students driven activities which includes academic and club activities. Clubs like Finance Club, Marketing Club, HR Club and Operations Club have been constituted at JBS to provide a professional and social network for students pursuing their specialization in different functional areas. The Cultural Club, Quiz Club and Debate Club have also been constituted to unleash the talent that exudes from the budding student managers. Other activities include Business plan completions, national and international seminars, business plan competitions and many Employability Skills Enhancement program. Q33 : What is the Infrastructure at the institute like? Ans : JBS has a state-of-the-art infrastructure matching the best available with contemporary business schools and a highly competent and dedicated faculty for an effective learning process. The Learning Resource Centre (LRC) is well-stocked with Indian and International books and journals covering all areas of management, commerce, etc. Ample amount of well equipped lecture rooms and tutorial rooms. The campus is equipped with technologically advanced computer labs and Wi-Fi system to facilitate internet usage. The infrastructure of the Institute includes facilities like Hostel separate for boys and girls, canteen, hospital, lawn tennis court, full-size swimming pools separate for boys and girls; Indoor sports with billiards, snooker and TT tables and a well equipped gym facility both for boys and girls. Q34 : What is the Faculty-student ratio at the Institute? Ans : The JBS has core faculty of 12 teachers and large number of visiting / guest faculty are invited for conduct of specific courses or lectures on specialized subjects. Therefore, it has a very healthy ratio of teachers to students. Q35 : What are the Foreign Universities/Schools that Jaypee Business School has collaboration with? Ans : The institute and the JBS through JIIT has signed MOUs with several leading universities overseas for student exchange and faculty development program. Q36 : Is laptop compulsory and included as the part of fee? Ans : Laptops are not compulsory. Laptop charges are additional and not included in the fee. Q37 : Does Jaypee Business School provide placement assistance to the students? Ans : Yes. Training and Placement Cell organizes campus placement of the graduating students. The cell provides complete support to the visiting companies at every stage of placement process which includes Pre-Placement Talks, Written Tests, Interviews, and Group Discussion etc. Q38 : What kind of Job Profiles do the Students get? Ans : Students get entry level and middle level management positions across the streams of Marketing, Finance, HR, Operations. Profile in Marketing includes- Sales Management, Marketing Communication, Digital Marketing etc. Profile in Finance includes those in Financial services and Banking sector. Students this year got placed at HCL Technologies in diverse Marketing, Finance and HR roles. Q39 : Would the institute assist me in getting my Program financed from bank? Q40 : Can you please explain me the exact location of the institute and the most convenient way to reach the campus? There is a map available on the website. We will help you with the directions. Q41 : Are the programs of JBS / JIIT is at par with other international graduate programs? Ans : Yes, students graduating from the university pursue their MS and PhD. Programs in US and other countries. The university is also a member of Association of Indian Universities (AIU) that provides equivalence to graduate programs in any institution in the country. JIIT is a member of AIU.